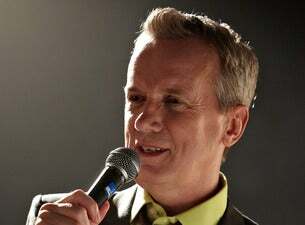 Frank Skinner returns for his first live shows in five years. Catch him at the Leicester Square Theatre in London from 3 June – 4 July as he performs a one-hour show in the heart of the capital's comedy circuit. From September, Frank will tour the UK with brand new show, Showbiz. Frank Skinner’s live career began in 1987 when he spent £400 of his last £435 booking a room at the Edinburgh Festival Fringe. Four years later, he returned to the city and beat fellow nominees Jack Dee and Eddie Izzard to take home comedy’s most prestigious prize, The Perrier Award. Frank’s last live stand-up show, Man In a Suit, sold out its debut run at London’s Soho Theatre and a subsequent five-week residency at the Leicester Square Theatre. Away from the stage, Frank’s TV credentials include The Frank Skinner Show (ITV), which is widely credited as setting the tone for the modern comedic chat show, Frank Skinner’s Opinionated for BBC Two. In 2014 Frank guest starred in an episode of Doctor Who. With David Baddiel, Frank created and presented Fantasy Football and Baddiel and Skinner Unplanned. As England made their World Cup run last summer, the iconic football anthem Three Lions, written by Frank alongside David Baddiel and The Lightning Seeds, topped the singles chart for a fourth separate time - the first time a single has ever reached number one on four separate occasions with the same artist line-up.